Efficiency is the key for every facet of a practice’s workflow. EMR and billing software should be integrated, offer one-touch functionalities and complete many tasks automatically. Technology can make a practice infinitely more efficient and thereby more profitable. It makes the biller’s job easier, allowing income to be generated more quickly. 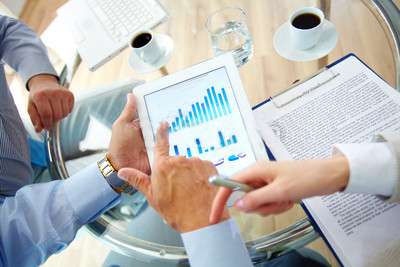 From one-touch functionality to voice recognition documentation, In Touch EMR™ and In Touch Biller PRO software is specifically designed for efficiency and better profitability. In Touch EMR™ has the ability to schedule patients, communicate with them through multiple methods, and create automatic patient files. 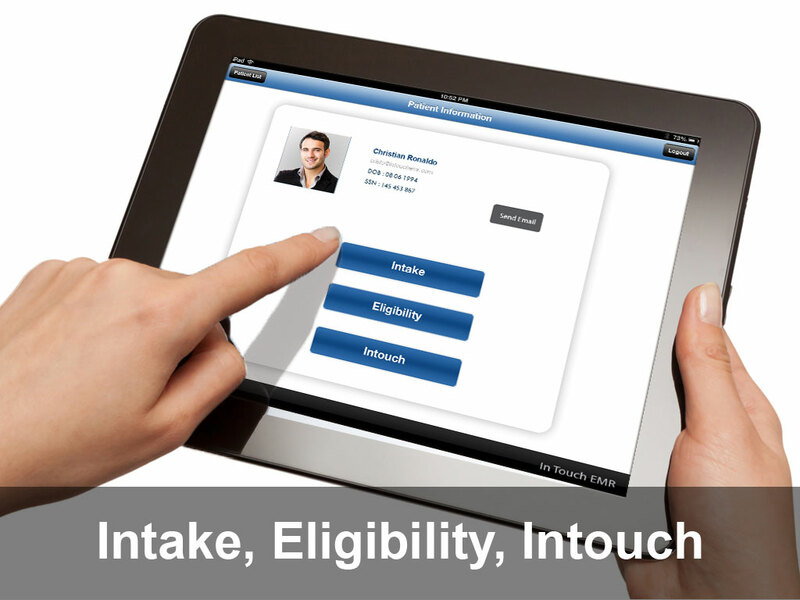 When the client arrives for their appointment, In Touch EMR™ has the built in ability to quickly validate patient insurance eligibility online with hundreds of payers, and more can be added as needed. The In Touch EMR™ is the only EMR with an iPad app. Patients can take a photo of themselves for identification purposes, photograph their insurance card and complete patient data with the iPad. The Web-based system maintains information in the cloud for security and HIPAA compliance. When the required information is obtained, the front desk can hit a single button to automatically create a patient file. The client is now in the system and the file is available to the clinician. Sophisticated reports can be generated with In Touch EMR™ to keep clinicians advised of the most profitable procedures and payers, where most referrals are originating, and the most productive staff members. Reports can be generated based on a comprehensive array of user defined parameters to monitor every facet of the practice. Clinicians can utilize features that include the advanced flow sheet, voice recognition for documentation, automatic creation of patient files and automatic claim submission. The In Touch EMR™ is designed to create and enhance an efficient workflow that allows practices to become more profitable, while making it easier for clinicians to do their job. In an era of dwindling reimbursements and increased regulatory requirements, clinicians must use every resource at their disposal to make their office efficient and profitable. In Touch EMR™ and In Touch Biller PRO work in tandem to accomplish those goals with technology designed for the way clinicians work.